Today I bring to you a new YA Fantasy - Blade Singer by Martha Wells & Aaron DeOrive. Look at this cover! Swoon, doesn't this cover sing. I won't lie...it caught my attention from the get go, and the story inside didn't disappoint. So, what's it about, and what did I think? Sure, Manny Boreaux wanted to escape his real world problems. But being trapped in the body of a goblin pickpocket wasn't what he had in mind. Still, it's kind of cool to be able to move like a spider monkey and go invisible. Unless you happen to work for an evil witch and her vicious gang of cutthroats. If they find out who he really is, they'll turn him into minced pies! Can Manny fool his fellow thieves long enough to find some allies? Can he thwart the witch's scheme to assassinate a young king and ignite a terrible war? And will he ever find a way home? Fantasy with an edge... Blade singer is a fast-paced book filled with the right combination of fantasy and reality that allows the reader to fully suspend belief while still having a relatable experience. The basic breakdown of the story follows the main character, Manny, as he deals with the recent loss of his parents, and challenges growing up. He goes through the normal range of emotions, and then more as he attempts to escape dealing with his present situation. That escape comes to fruition when he finds himself transported into a book... and into the body of a thieving goblin. Manny has to learn to survive in a different body and different world. This is a fun story filled with many of the traditional elements of fantasy that I love. I found myself entertained, intrigued, and engaged. I will admit to feeling a little weary in the beginning as I recognized inspiration from other familiar stories. The beginning sequence of bullies, and finding refuge within the bookstore reminded me a bit too much of The Neverending Story... It wasn't until after those beginning chapters that I began to feel more invested in the story and characters. Overall, the writing is strong, the characters well developed, and the world fun. I would recommend this to the tween audience. A graduate of the University of Texas' film program, Aaron de Orive began his professional writing career in the video game industry, serving as a lead or senior writer on Metroid Prime 3: Corruption, Star Wars Galaxies: An Empire Divided, Tabula Rasa, Anarchy Online, and Star Wars: The Old Republic. He is also the creator of the fantasy role-playing game SHARD: World of the False Dawn. Blade Singer is his first novel. Aaron lives in Austin with his wife, daughter, and two very spoiled terriers. Martha Wells is the author of a number of fantasy novels, including The Cloud Roads, The Siren Depths, The Wizard Hunters, Wheel of the Infinite, and the Nebula-nominated The Death of the Necromancer. 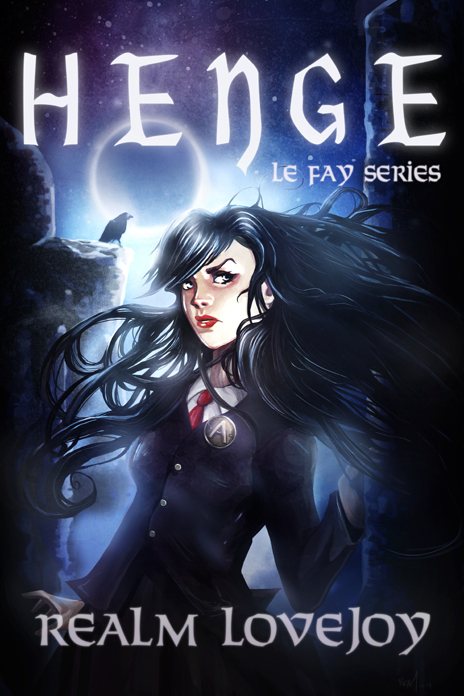 Her YA fantasy, Emilie and the Hollow World, was published by Angry Robot/Strange Chemistry in April 2013, and the sequel, Emilie and the Sky World, was released in March 2014. Two collections of Books of the Raksura novellas will be published in September 2014 and Fall 2015. She has had short stories in Black Gate, Realms of Fantasy, Stargate Magazine, and Lightspeed Magazine, and in the anthologies Elemental, The Year's Best Fantasy #7, Tales of the Emerald Serpent and The Other Half of the Sky. She has essays in the nonfiction anthologies Farscape Forever, Mapping the World of Harry Potter, and Chicks Unravel Time. She has also written media-tie-in novels, Stargate Atlantis: Reliquary and Stargate Atlantis: Entanglement, and a Star Wars novel, Empire and Rebellion: Razor's Edge. Premonitions of disaster tend to put a damper on one's plans. Bobby hangs out with a local rock band on the weekends, and he knows one of the members will be killed at tonight’s jam session. But who will be hurt, and how will Bobby save him? Can he set aside his fear and be vigilant enough to find out, or will it be too late? Bailey's next novel SERVANT will release in 2014. 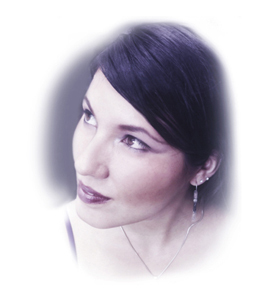 She is also the author of Rage's Echo, The Land Beyond the Portal, Weary Traveler, and Vapors. She lives with her husband in Cincinnati, Ohio. The 20th Anniversary of Xena: Warrior Princess – From Ancient Scrolls to E-Books. Next year is the 20th anniversary of the first airing of the TV show Xena: Warrior Princess, but for me the anniversary is now. I was the writer's assistant from 1994 to 1997. Besides doing normal office work, I monitored the net forum as Xenastaff, wrote any dialogue that needed to be added after an episode was cut together, and wrote The Xena Scrolls for Universal's website. When an episode based on the online characters aired in 1997, it became the first intellectual property to move from the web to television. Now, 20 years later, I'm about to publish a novel as an e-book. Oh how far we've come. I remember a Xena fan posting on the forum that he discovered the show online when he did a search for "Amazon." I thought, that makes sense. I mean, Xena isn't technically an Amazon, but what else should turn up when you search on that? Someone then explained to me that there was a new online bookstore called Amazon.com. That was 1995. You would think the anniversary would make me feel old, but that happened the first time I heard a co-worker say, "I loved Xena when I was a kid." 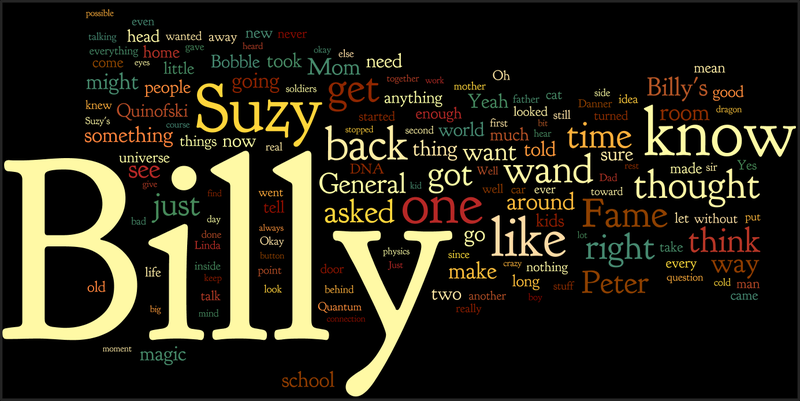 Instead, I'm looking back on Xena, and forward to the release of my novel, Billy Bobble Makes A Magic Wand. It might shock some in the literary world, but I learned a lot about being a novelist from my work as an apprentice writer on a TV show. One of those things was how to write a story for all ages. Xena was "syndicated for broadcast." Syndicated meaning it was sold directly to independent TV stations and Broadcast meaning it had to adhere to FCC rules (unlike subscription channels: HBO, Showtime, etc.). Independent stations could play Xena any time they saw fit. In some cities it screened at midnight for adults. Other cities showed it on Saturday afternoons for kids. That's a wide age range, and believe it or not, the show's numbers were even across the board. We had as many men & women between 18 and 49 as we did girls & boys between 12 and 17 and 55 & over. In the publishing world, the insistence to declare what age range a book is targeted to clashes with what I learned on Xena. Every time I hear someone say their book is "Middle Grade" or "Young Adult" all I think is, Why have you cut out the majority of the people on the planet? 3) Target age ranges in beats within the story, not for the whole piece. Independence was one of the things we all loved on Xena: Warrior Princess. In addition to being syndicated for Broadcast, the series was what the industry called "first run syndication," meaning it never ran on a major network. For a brief time in the 1990's to early 2000's, Xena, Hercules, Baywatch, and many other shows were possible because the business model worked. There were enough independent TV stations to buy shows that had never been on the big three networks. The shows sold for more money than it cost to make them. They were as good as anything on the Big 3 (or 4) networks but without the hassles that came with network standards and practices (aka sensors) or network executives. If the creative team liked the script, and it was affordable, then that's the script that was shot. It was a fun way to work. In publishing today there is a similar paradigm. E-books and Print On Demand (POD) have made it possible to bypass the Big Six publishers without sacrificing quality. As long as the independent publishing house keeps its standards high, and doesn't become a self-publishing hack, they can provide books of the same quality as the old-fashioned publishers and still make a profit for both themselves and the authors. In trying to sell my first book I went through the majors. My agent gave notes – which were good, but intended to please editors. Some editors gave notes that were just bad. We passed on those. Some editors gave notes that were okay, but intended to please acquisitions. It's a frustrating process. Not a bad one, mind you. The Big Six publishers are great and completely necessary, but not a lot of fun. With Billy Bobble, I'm having a blast! Matt Sinclair is both my editor and the publisher for Elephant Bookshelf Press. He and I are in complete agreement about the style and tone of the book, so his notes make the story better, period. If he and I like it, it's in. If we don't, it's out, period. There is no, "I like it the way it is, but…"
It is a fun way to work. I had a hand in choosing Kirbi Fagan to design the cover. She friended me on Facebook and the three of us have exchanged a few ideas. Her early drafts have been fantastic! Unlike a major publishing house, I've been kept in the loop on each draft. I can't wait to see to see the final product. I think fans of Xena will agree that the whole production team put the fun on the screen. I hope readers of Billy Bobble will feel the same way about what we have done with the page. It's a fun way to read. Robert Mellette has written, directed, designed and acted in theatre, film, television, and publishing for over 30 years. His credits in various jobs include XENA: WARRIOR PRINCESS, NUTTY PROFESSOR II: THE KLUMPS, BLUE CRUSH, and his own JACKS OR BETTER, which won Dances With Films Best Screenplay award in 2000. He has been working with the festival ever since. Robert's novel, Billy Bobble Makes a Magic Wand, is due out in December 2014 from Elephant's Bookshelf Press. For novelists, Robert blogs for From The Write Angle. For filmmakers, he writes for Dances With Films. Upcoming events: In the real world, Robert will appear at the 2014 Conjecture Con in San Diego Oct. 10-12. Online, there will be a cover reveal for Billy Bobble Makes A Magic Wand in October. If you would like to be a part of that, please contact Candace Robinson. If you would like to interview Robert please contact him at mellette@earthlink.net. The journey of 100 miles starts with one step... am I brave enough to take it? am I brave enough to jump? What price did this woman pay to steal the key? Or was she protecting it? What room or book does the key open? What secrets will she find? I was asked to join the Meet My Character blog hop by the lovely, K.N.Lee. K.N. Lee is an award-winning author that resides in Charlotte, NC. When she's not writing twisted tales, fantasy novels, and dark poetry, she does a great deal of traveling and promotes other authors. Her works include, The Chronicles of Koa: Netherworld, Dark Prophet, A Gifted Curse, Wicked Webs, Empty Your Heart, Pixie Dust, and the paranormal collection of short stories, Thicker Than Blood. The main character in Dreamscape: Saving Alex is Alexis Stone, called Alex for short. The story starts in modern day California, as Alexis struggles with her impending move to Oregon. Due to a series of unforeseen circumstances and enchantments, she finds herself transported into the fantasy game world of Dreamscape. Alexis is a typical sixteen year old... focused on herself, her friends, and difficulties within her family. She must overcome new challenges, adversaries, and her own insecurities to find a way home. What messes up his / her life? What's a story without a few unforeseen pitfalls, fears, opportunities for growth... and love. Dreamscape: Saving Alex is currently with my editor and is set for an early December release. You can expect to see it in both digital and print at most online retailers.